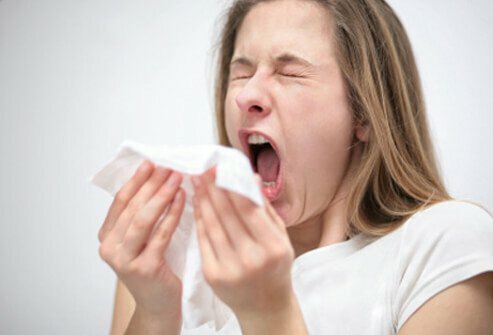 Everyone has experienced the annoying presence of the common cold before. You may have a painful cough, a stuffy nose, or a sore throat that persists for days on end. Many people are tempted to take a dose of over-the-counter cold medicines, but others are concerned about the ingredients found in these pills. These yogis would much rather find a natural remedy to alleviate their symptoms on a daily basis. Fortunately, finding natural remedies for common complaints like the cold is becoming significantly easier. The drug stores and local pharmacies are starting to stock products that fall into the category of natural health products. When your body isn’t at its best, these remedies can help you to feel better faster. You can skip all of the chemicals in the commercially made chest rubs you see on the shelves. Instead, create your own version using natural and therapeutic-grade essential oils. Combine three drops of eucalyptus essential oil and three drops of rosemary essential oil with one tablespoon of fractionated coconut oil. Mix them together well and spread them over the chest for relief from a cough or stuffy nose. You may also want to rub this concoction on the bottom of your feet and cover them with cotton socks. 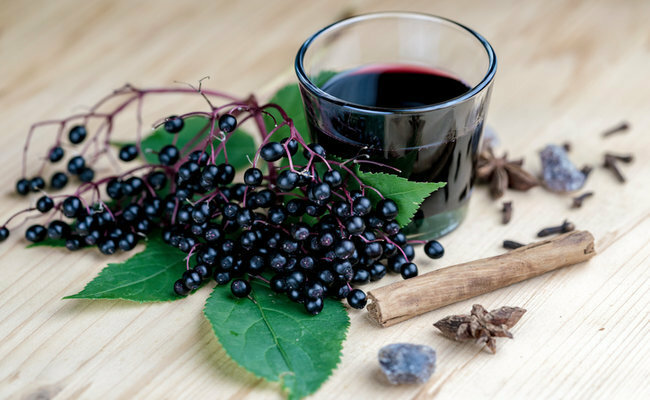 Natural health enthusiasts are always promoting the beneficial properties of a quality container of elderberry syrup. This liquid is meant to be sweet and helps to fight off germs and infections. You can take it to prevent a cold or use it to shorten the timespan that you happen to be sick. You can purchase a jar of this at a natural health store or whip up a batch on your own using a handful of simple ingredients. When you’re sick, you probably crave things that are hot and steamy. You may not feel up to eating a heavy bowl of soup, but a mug of steaming tea might be able to do the trick. 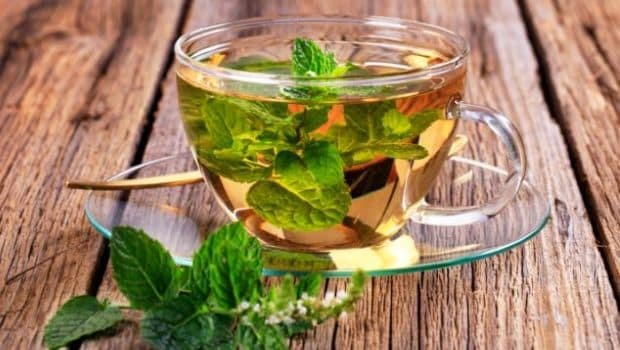 Peppermint tea has many properties that make it ideal for individuals who happen to be sick. The leaves are antibacterial which help to kill infections. It is also well known as a natural remedy to settle an upset stomach. Be sure to drink lots of this tea without sweeteners if possible. If you simply must have it sweetened, add a teaspoon of honey instead of granulated sugar. It’s a healthier alternative that can contribute to your recovery. In the end, there are a lot of natural home remedies you can use to ward off lingering cold and flu symptoms. Many of the ingredients are easy to find around town, but you may be able to order them online if you have a few days to wait. There’s no better substitute for sickness than drinking plenty of fluids and getting rest though. Be sure to take care of your body during times where it isn’t at its very best. This can help you to stay healthier in the long run. Matsyasana or the fish pose is well-known by many across all levels. Here, we will go through the technique, the variations and the benefits of the pose. Because of the nature of this pose, and the way it naturally falls into a program of classical poses, it is a good idea to think about what you wear. This might just be your opportunity to wear those comfortable high waist leggings that will cover your tummy as you lean back. There are two different starting poses for matsyasana. Normally, you would start off lying on your back and then lift your head and chest before you put the top of your head on the mat. If you are able to sit in a full lotus pose, start there. Then, lean back supporting your body on your hands, proceed by putting your elbows on the mat, holding on to your big toes if you can reach them and lower the top of your head down on the mat. In the pose, you focus on lifting your chest up so that it becomes an active lift with the chest, rather than leaning on your arms and head. You will, of course, feel a certain weight on your arms and a light pressure on your head. There is another variation of the matsyasana which can be very useful for a longer rest in the pose. Here, you use a yoga bolster, or if you don’t have a bolster, you can use a rolled up sticky mat or blanket. You place the bolster across your mat so that when you lie down over it, the lowest part of your shoulder blades is on the bolster. You then lay your arms out to the sides, if absolutely necessary, put a little pillow or blanket under the top of the head as support. All the variations of the pose have the same benefits. They open up the chest; it is a heart opener and gives space to the respiratory system. Matsyasana stretches out the abdomen and is therefore beneficial to the processes of the abdominal organs. At the same time, it is a backward back bend and can be an important help to maintain movement and flexibility. Matsyasana is also an ideal counterpose for halasana and Sarvangasana. After doing matsyasana it is important to straighten out the back to let it return to its natural straighter shape. Therefore when you come out of the pose, lie down in Shavasana. Using the variation of the pose with the bolster opens up an opportunity to stay in the pose for even longer. This, in turn, gives a stronger beneficial effect, especially on the respiratory system. It can even be used when you have a cold or flu to help your body heal. If you intend to stay in the pose for a longer time, take extra care so you don’t get cold–make sure you wear warm clothes like fleece leggings and an extra jacket. Most important of all, enjoy! Yoga is an excellent way to combine exercise and meditation, as you’re learning to limber up both your body and mind. It also can be beneficial to join a class, so that you can have help with learning the more challenging poses. However, just like anything else, there are just as many bad yoga instructors as there are good ones. If you want to get the most out of your yoga instruction, then don’t just sign up for any old yoga class. Whether you’re looking for a yoga instructor or a meditation guide, here are a few signs of a good teacher, one who will help you expand your knowledge of yoga and meditation with patience and compassion. 1) A good teacher will see and welcome their students before the class, appreciating them for who they are as unique and beautiful people. He or she will have a positive attitude toward the class in general. 2) Yoga can be challenging, so people with injuries, even minor ones, should be careful. Because of this, the teacher should ask at the beginning of every class if there are any injuries, strains, concerns or tensions at all in anyone’s body, and what that issue is. This way, the teacher can keep that in mind as the class goes through the poses. 3) The teacher will choose poses for the class so people with injuries get help and the people without injuries get challenged. 4) A good teacher explains and demonstrates a pose, especially challenging ones, so the students understand it from beginning to end. The teacher should make sure the whole class is on the same page and everyone is aware of the dangers and mistakes. 5) The teacher knows how to explain the poses in a variety of ways so if explaining it one way doesn’t resonate with someone; they have an arsenal of perspectives on the poses. 6) Good teachers will know how to teach. They will see subtle errors and weaknesses and know how to correct them graciously. A positive teacher will assume you are putting your all into the class and gently encourage you, working with whatever energy level you may have. The teacher will use frequent positive reinforcement when he or she checks on students, and will never, ever embarrass or bully a student. 7) At the end of the class, a good teacher asks how the students are feeling. Teachers should want to make sure that the class was helpful and challenging for everybody. 8) They should have a wealth of meditations for Savasana (Dead Man’s Pose) at the end of class. Good meditations really enhance yoga, so good teachers should know of several to help their students get the most out of the class. 9) A good teacher always thanks their students for attending. It’s just common courtesy. 10) Most importantly, they practice what they preach. They treat their lives, their students, their emotions, and attitudes with the grounding and peace brought forth in good yoga. Fortunately, there are more good teachers than bad ones in the world, as the very nature of yoga promotes compassion and the pursuit of wisdom. If you’re looking for a new class, keep these signs in mind and you’ll find a teacher and group that you’ll be able to mesh with. When you are looking to make changes to your life, it’s often the important things that you try to change. But sometimes, the important things are not the issue, or can’t be changed because of the way your life and the world is made. When things like this occur, you can be left feeling frustrated or let down; trapped by circumstances. But you don’t need to feel that way. Sometimes, incremental changes are all that are needed to make your day to day much more fulfilling and enjoyable. Here are several changes you can make to your day and to your thinking that can have a big effect on your experience. Humans are creatures of habit, and by setting good ones, you can work towards the results you want. Whether you want to be fitter, or have a tidy house, you can identify and set habits that will allow you to take small, manageable steps towards your goal. And, as the saying goes, slow and steady wins the race. This is a big one. Sometimes, we get so caught up in what we don’t have that we forget what we do have. Make a point of noticing and being grateful for the good things in your life. The shift in your mindset can have lasting and far reaching benefits for your way of thinking and your life. We all have busy lives, but quite often they get filled with tasks that are necessary, but not fun or interesting. This can be draining. So, make room for fun. Make a list of things that you like to do, things you find fun, and make a commitment to doing one of them for a brief time each day. Just because you’re an adult doesn’t mean you can’t enjoy your life. Good habits start with the right clothes. Shop the above look here . These can be a result of past events, or even people who have taught us to think negatively about ourselves, or the way we do something. Identify these thoughts and when they pop up, recognize how they make you feel. Question the truthfulness of what the negative thoughts are telling you. If they are true, work towards improving that part of yourself. If they aren’t true, get rid of them. It’s obviously not that simple, and you can get professional help with this if necessary, but the central premise is the same. Get out of the habit of thinking things that make you feel bad. Whether you want to volunteer some time to a worthy cause or just help your elderly neighbor, helping other people will make you feel better about yourself, and improves the world in some small way. You’ll be amazed at the difference this can make to your life. Focus on the present. The past is gone, and the future is always uncertain, all you really have is the moment you are in, so treasure it. You can do this through meditation or through other mindfulness exercises, but the important part is to remind yourself every now and then to enjoy your life whenever you can. These are six small things that can improve your life and set you up for bigger and better changes. Try them out in your own life, you won’t lose anything but a bit of time, and that would have gone by anyway. You could look at a yoga class list in your local studio and would notice all kind of different styles of modern yoga being practiced today. If you are a traditionalist and prefer to stick to the cores and fundamentals of yoga’s philosophy, then Hatha yoga is certainly the style you should opt for. It originated thousands of years ago; however, the common perception and popularization of the style came about in 16th century India. Hatha Yoga is not a single style, rather a mixture of various traditional styles that were established by the original master yogis. As in almost any other style, breath techniques and posture are the most important things you will be taught in such classes, and there is a focus on self-reflection and meditation. Due to the variety of yoga styles Hatha adopts, it’s hard to know what you will get when you attend a Hatha yoga class. The best approach would be to compare it to another style of yoga and break down its specifications. The literal translation of Hatha is “sun and moon”, the philosophy of the yogis that refers to the feminine and masculine qualities each person possesses when attempting to find the balance between flexibility and strength. Another translation would be “forceful” which is why the style is often described as physical. However, any studio that focuses on these traditional elements will certainly incorporate the meditation and spiritual elements of the style. Different types of physical benefits have been observed within the Hatha yoga practitioners. The practice could help a person be more flexible, attain physical strength or make you fit all together. Its effects have shown to release a person from physical pain, especially back pain, and even help people suffering from insomnia. This particular style of yoga will help you combat and prevent morbid obesity and it could truly enable you to get in good shape. This is something incredibly beneficial and it’s something that drives a lot of people towards practicing. Yoga practice helps release stress and ease up levels of anxiety daily. Benefits go even as further as helping patients diagnosed with various psychiatric disorders such as ADHD and schizophrenia. If you are a person with wrist or shoulder problems, then you might have felt discomfort while practicing certain styles of yoga. The Hatha flow is friendly and gentle and puts no pressure in those areas, the main focus is on posture which improves your strength, awareness, breathing, openness and stillness. The breathing methods are suitable for beginners, even though they are a mixture of many different types of breathing yoga practices, which were selected and further improved and modernized to suit the needs of the modern world’s practitioners. Hatha will help you prepare your body for adversities in a calm, balanced manner in a both spiritual and physical way.